I felt it was appropriate to start this off with a quote that not only is spoken in the film but also describes why it totally won me over as well. On the surface The Little Prince undoubtedly treads in similar waters as many stories that were told before it. Here we follow a little girl (voiced by Interstellar breakout Mackenzie Foy) who is unable to embrace the wonders of childhood because of her mother (Rachel McAdams) who tries to make her daughter grow up fast, keeping her on a rigid and joyless schedule meant to further her education and future career aspirations yet lock her away from the depths of her own imagination. When the girl and her mother move to a new house, their next door neighbor is an old man known only as the Aviator (Jeff Bridges), and his home is a reflection of his personality. A man so creative and eccentric doesn't blend into a grey, routine filled existence. The Aviator introduces the girl to his world, one filled with magic and endless possibilities. It's a world that revolves around the story of the Little Prince. The beats of the story may lead down a predictable path, but lord, the process of getting there is tremendously moving and imaginative. 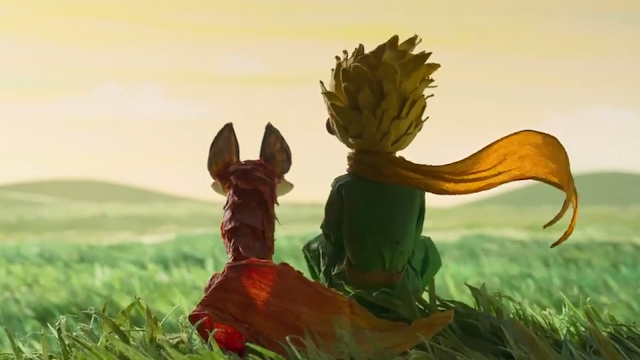 The film balances two completely different worlds and animation styles, one that is computer animated that displays reality and then stop motion when telling the story of the Little Prince. 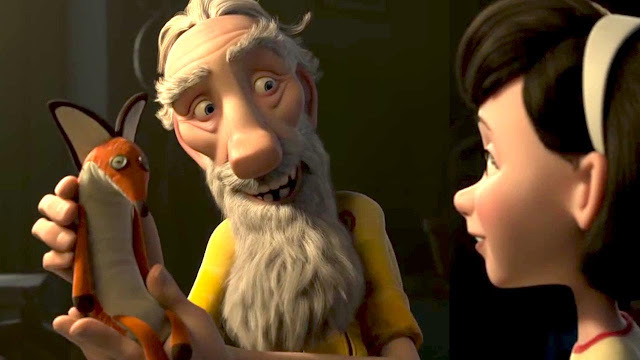 While the stop motion pieces of the film are more striking and interestingly detailed considering how commonplace computer animation is these days, both provide some truly stunning imagery along the way. Of course, this is only a small part of why I love this film. The Little Prince struck a chord in my heart that allowed it to transcend any criticism I have over narrative familiarity. It's just a beautiful picture across the board, and the relationship between the little girl and the Aviator is full of so much warmth. Seeing her eyes open to what was around her, as she realizes how big the world is after her mother spent so much time making it feel small, was really special. The soul of The Little Prince reverberates through every moment, big and small, and it is essential. It is only with heart that I could feel it all. Despite so many frames being soaked in emotion and beauty, the true reason why I am still glowing from this experience is invisible to the eye. Distributed in the U.S. by Netflix and available to stream there now, safe to say The Little Prince is a front runner for animated film of the year. As much as I love both Zootopia and Finding Dory, neither made me feel quite this wonderful. Did your daughter watch this (and if so, did she like it)? She did...sort of. Meaning, she was in the room and was watching for maybe 40 percent of it, and the rest of the time she was playing with toys or messing around on her iPad. I do think if I were to have seen it in the theater with her though, it would have been a hit. What she did watch you could tell she was invested, but she probably wasn't in a sit there and only focus on the movie type of mood. Highly recommended for families though, it's got something for everyone.